My naive, shortsighted view suggested that Google was just another wannabe company fighting for Yahoo’s share of market that would slowly diminish into nothing. Thinking about the technology we use and depend upon today, there are a lot of other things which were written off to start with or were never developed to grow into what they are today. 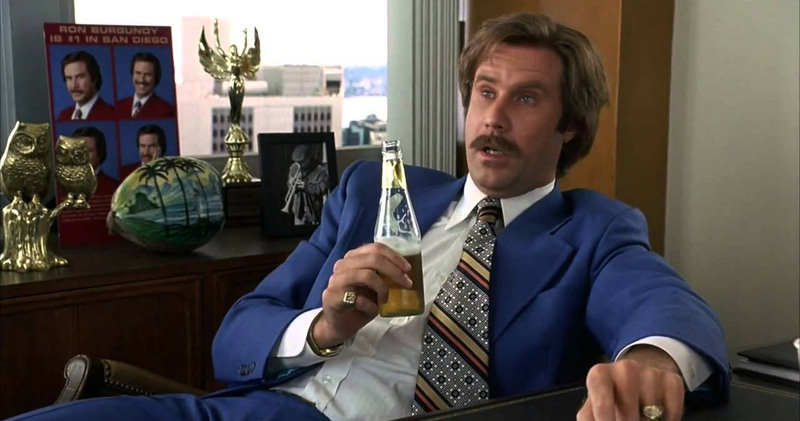 So, to quote my favorite Anchorman, Ron Burgundy: “That escalated quickly!”. Here are 6 technologies that have defied all odds to become global phenomenon’s. Surely the Internet has to be number one. Dating back to 1989, Tim Berners-Lee wanted to develop a method for automatic information sharing between scientists in universities and institutions, and so the World Wide Web (WWW) was born. His view was to make it freely available to one and all, whereas the US military wanted to keep it away from the public domain. Never did he or anyone else imagine the Internet would have had the impact it has. I always remember a quote from my boss at a company I used to work for. When asked if we should jump on the website bandwagon and create another channel for sales, he said “The Internet: that’s a waste of time. It’ll just be another flash in the pan.” Now, had anyone else said this you would maybe have taken the comment with a pinch of salt, but the CEO of a telecommunications company? How wrong he was. From its humble beginnings in the ‘80s, the Internet today has 2.5 billion users worldwide, with 70% of those using it every day. That’s an increase of 566% since 2000. It’s not just the volume of users that’s mind-boggling either, as 140,000 websites are launched every day to add to the already 1 billion strong list. Imagine that: there is a website for every 7 people in the world! Although I’ve built around 20 so I can take some of the blame. Believe it or not though, the concept of a computer-powered tablet has been around since 1986 when a company called Hindsight developed a tablet for the educational market, however no production models actually surfaced. It was then a year later when Apple considered a tablet project and released one in 1993, the Apple Newton. For years the tablet computer was fairly basic, included a stylus and only fit a certain purpose, usually as a portable organizer. With no real direction, limited hardware, awful battery life and a difficult market to crack, many people had written off the tablet computer as a novelty. The question then was: why would you need one if you had a laptop? It wasn’t until 2010 when Apple reinvigorated the tablet through the introduction of the iPad. Instead of giving it clunky software like a laptop had, they instead designed it to work like your smartphone with a simple, intuitive interface and navigation through touch, not a stylus. This well-received reinvention of the tablet moved it away from the traditional PC and business markets and into the public domain. Today, we’re about to surpass 1 billion tablet sales worldwide. So a once sneered at technology that was struggling to find its market for twenty-four years has suddenly become a worldwide hit in the last five. I know: I’m baffled too! Smartphones have really only come to fruition since 2007 when Apple (yes, them again) launched the iPhone and Google released Android, their free operating system. Before 2007, mobile cell phones were just that: phones. Their primary purpose was to make and receive calls, text messages and, of course, to play a few basic-but-legendary games like Snake and Space Invaders. At the time, phones were getting smaller because we didn’t need a large screen just to make a phone call. The concept of a smartphone was initially snarled at because it would add a lot more cost, which, again, begged the question: why would we need this when we have a laptop? Even in 2007 there was criticism over the future of smartphones as Microsoft’s chief executive, Steve Ballmer, suggested a lack of value when he said that the iPhone was “the most expensive phone in the world.” He suggested that the smartphone would be out of the public’s price bracket, therefore, it had no future. Fast-forward a few years and we can safely say that Mr Balmer was wrong; it’s smartphones that are starting to replace laptops with nearly 2 billion people owning one. The reason is that smartphones are no longer phones; they’re handheld computers that have the ability to perform a multitude of tasks wherever you are, for business or pleasure. It’s also reported that 35% of Americans use data only applications after waking up in the morning. You wouldn’t be doing that if cell phones had continued down their original path as they were very voice orientated. Smartphone applications are one of the reasons why smartphones exploded into the public domain. Customizing your phone with new features that were easily accessible by a simple download gave everyone the opportunity to create their own handheld, personal computer. Many believed that ‘App Stores’ wouldn’t attract enough developers or generate enough revenue to be a hit and would become just another novelty feature to try and sell smartphones. Early apps were web-based software for PalmOS, BlackBerry, Symbian and Windows, which were a collection of freeware, shareware and commercial apps that had annoying licensing schemes or required a lot of effort to install. Therefore, in 2008 when Apple introduced the App Store, many believed it was much of the same, with the majority of apps just being nothing more than a glorified webpage. Today, mobile app stores see well in excess of 100 billion downloads every year and they’re still growing! This is in part down to apps being designed from the ground up to fit a purpose rather than being a rehash of an existing web application. Even the stats back this up as the average smartphone user has 25 apps on their phone, for all manner of different purposes: fitness, games, news or productivity, as the saying goes: “There’s an app for that”. With each smartphone user spending an average of 30 hours per month on apps, I don’t think the popularity of smartphone applications is going to decline anytime soon. Back in the late 1980s when I was a young whippersnapper, Business Intelligence was a term derived by Gartner to explain the cumbersome-sounding names for data storage and data analysis such as the thrillingly titled Executive Information System (EIS). At the time, there was no denying that Business Intelligence was a powerful tool that could improve the flow of data as it moved from operational systems to decision support. Companies such as Tesco and Walmart massively increased their market share through better decision-making. There was, however, a general consensus that Business Intelligence would never make it out of the enterprise arena. The main reasons for this were the cost, complexity and the technology it was built on. Too many Business Intelligence projects were run and controlled by the IT department, meaning that most users weren’t capable of running their own reports. In short: Business Intelligence had been developed with only experts in mind and was always going to stay that way. Jump into the 2000s and the marketplace has drastically altered. Thanks to the Cloud, better internet connections and increased data storage, Business Intelligence has become mainstream. With vendors popping up on a daily basis and the growth of Big Data going supernova, Business Intelligence is no longer a tool for enterprises, but is now a necessity for almost every business. The Business Intelligence market is now worth in excess of $15 billion, with sustained growth year-on-year. This is because the technology and delivery has been simplified, the costs have been massively reduced and Business Intelligence has evolved to become self-service and is now designed with a specific industry in mind rather than a single solution to suit all. The Cloud is a term that is bandied around often today, but many still fail to understand how it works. It’s by no means a new concept with its origins dating back to 1950s mainframe computing. It wasn’t until the ‘70s when telecoms companies started to offer virtualized private network connections at a reduced cost when the term was being used in the public domain. As internet connections became faster and more stable, the Cloud offered a real alternative for the delivery of software and storage compared to the traditional on-premises methods.However, the Cloud wasn’t greeted with open arms and adoption rates were both low and slow in equal measures. This was, in part, down to security concerns about data being stored outside of the company, the stability of the platform if the data footprint grew and the reliance on third party organizations. For these reasons the Cloud was considered a business only option for use in very limited situations. Today you can’t turn a corner without having the Cloud pushed in your face. You may not realize it, but a lot of your favorite platforms are run in the Cloud. Ever watched a program on Netflix? Or uploaded a document to Dropbox? Do you play on a Playstation 4 or Xbox One? Used Google? Shopped with Amazon? Banked with IBM? Stored with iCloud? The list is endless. All of these services are run in the Cloud and the story is the same for businesses, too. The Cloud’s growth has been monumental in the last few years and has now bridged the gap between work and home, where we now all live in a better connected, easily accessible, information-rich world. I’d love to hear your thoughts about the technologies listed above. Do you think they have improved our daily lives or do we rely on them too much?